Gov. 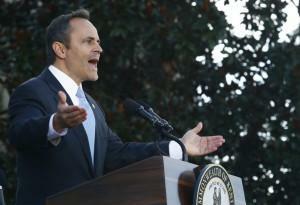 Matt Bevin’s administration has filed a lawsuit against a second Kentucky abortion provider, alleging the facility provided abortions without a license. The lawsuit was filed Wednesday against Eubanks & Marshall of Lexington, PSC, which does business as EMW Women’s Clinic. It alleges the clinic wasn’t properly licensed, and didn’t have proper transfer agreements in place with a hospital and ambulance service. The Cabinet for Health and Family Services filed the lawsuit. This is the second lawsuit the Bevin administration has filed against abortion providers since the governor took office in December. The first was filed last month against Planned Parenthood in Louisville, which had just begun providing abortions weeks before. Bevin has also championed several bills in the General Assembly that address abortion — he signed one into law that requires a meeting with a doctor at least 24 hours before an abortion. Another requiring a sonogram before an abortion has passed the state Senate. There is only one other location in Kentucky to obtain an abortion: the EMW Clinic in Louisville. 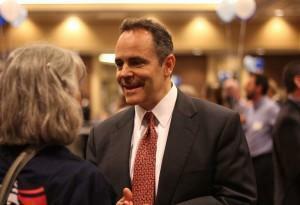 Calls to the EMW Clinic in Lexington on Thursday morning were not answered. 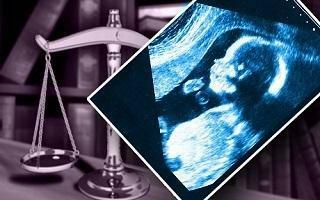 The Kentucky Senate has passed a bill aimed at requiring doctors to perform ultrasounds prior to abortions and describe what the procedure shows to pregnant women. A legislative committee on Wednesday passed a bill that would require women seeking an abortion to have a face-to-face meeting with a doctor at least 24 hours in advance of the procedure. Since 2001, women seeking an abortion have been able to have the so-called “informed consent” meeting over the phone. Kentucky Gov. Matt Bevin's administration is asking a judge to penalize a Louisville Planned Parenthood facility for performing abortions without a valid license. Bevin, a staunchly anti-abortion Republican, ordered abortions halted at the downtown facility after learning last month that it was performing the procedures. Planned Parenthood says it got approval from former Gov. Steve Beshear's administration, which left office in December. The Cabinet for Health and Family Services sued Thursday in Jefferson County Circuit Court, seeking up to nearly $700,000 in fines.